Alongside this week's ginormous Avengers: Endgame trailer, Marvel released the brand new theatrical poster for the movie. Fans, being the eagle-eyed clue-scourers they are, quickly pored over every one of its details, and found something they thought was pretty strange: Danai Gurira’s name missing from the top credits. Gurira (who of course will reprise her Black Panther and Infinity War role as Okoye in Endgame) was credited on the poster initially released Thursday night, but only in the secondary credits on the bottom of the image — alongside the likes of Gwyneth Paltrow, Benedict Wong, Jon Favreau and the rest of the top-billed cast. This isn’t out of the ordinary on movie posters — billing credits for select stars are an arcane process in movie marketing, born out of deals with actors as much as they are just aspects of poster design. But what made Gurira’s absence from the list of stars billed at the top of Endgame’s poster stand out to fans was that... well, she was literally the only actor whose image was included on the poster but who wasn’t in the top billing. Every other character you can see on the poster, from Rocket to Thanos, had their actor credited as a top-billed star of the movie. It looked awkward, and not just because people wanted Gurira’s character to have as much prominence as the rest of Earth’s mightiest heroes. After fans took to social media to point out the discrepancy overnight, Marvel announced a running change to the poster on Friday morning — acknowledging that Gurira should not have been the only one left out. It’s surprising that Marvel responded so quickly. Not for any particularly nefarious reason, but because, as this is Endgame’s theatrical poster, presumably there are printed versions being distributed already that don’t have the update — so this requires more than bumping a few Photoshop layers around to add Gurira’s name to the top. Who knows, maybe there’ll be poster fans out there hunting down an ultra-rare Gurira-less variant now? 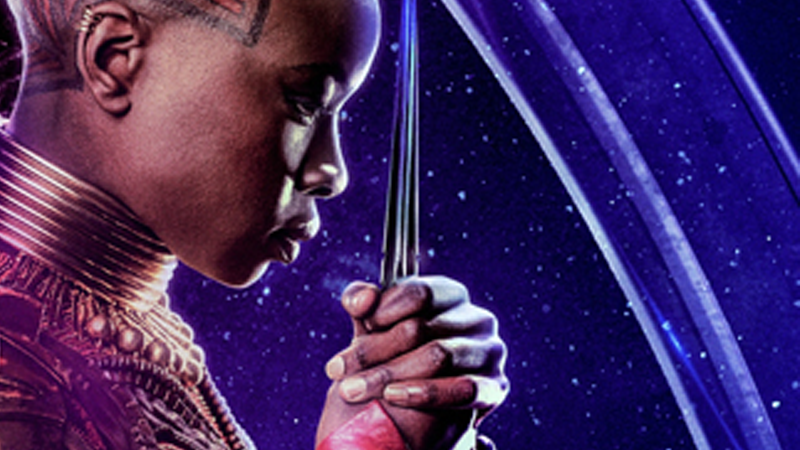 We reached out to Disney to see if the company has a comment on why Gurira’s name wasn’t included in the top billing in the first place, but had not received a response at time of writing. But at least Gurira’s credit is where it belongs: With the rest of her poster stars.